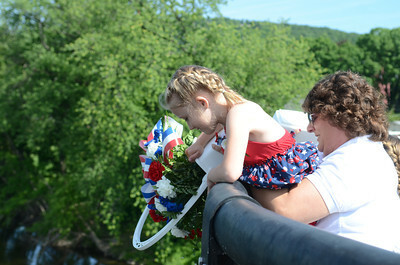 Marleigh Davis, 6, left, Danville, gets a helping boost from Mary Mensch, Danville, while throwing flowers into the Susquehanna River on Monday morning for a ceremony before the start of Danville's Memorial Day Parade. 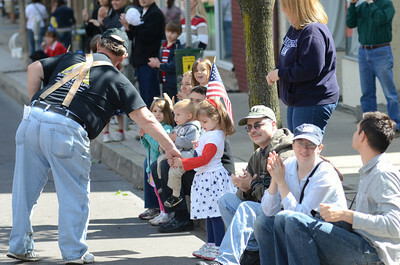 Veteran Grant Fritz, left, shakes the hand of Abbi Smith, 4, Danville, during Monday's Memorial Day Parade in Danville. 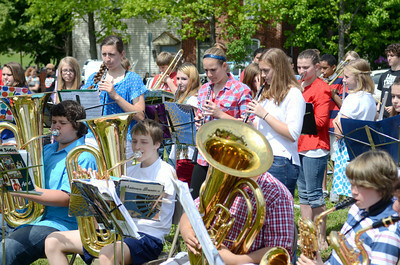 Members of the Selinsgrove Middle School band perform during a re-dedicating ceremony for the monument of Gov. 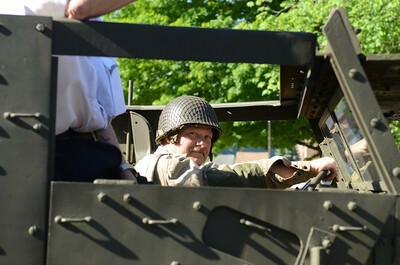 Snyder in Selinsgrove on Monday. 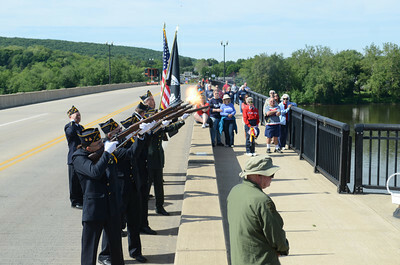 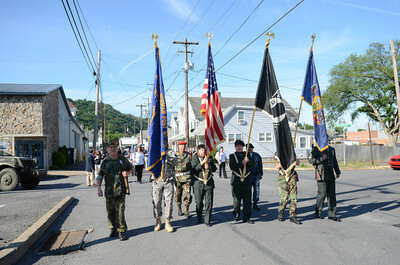 Color guard members from the Danville American Legion Post 40 give a salute on the Danville-Riverside bridge on Monday during a ceremony before the start of Monday's Memorial Day Parade in Danville. 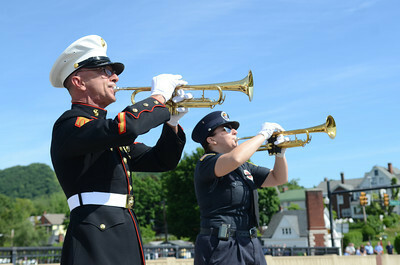 Andrew Georges, left, and his daughter Larrissa Georges, play taps to conclude a ceremony on Monday in Danville before the start of Danville's Memorial Day Parade. 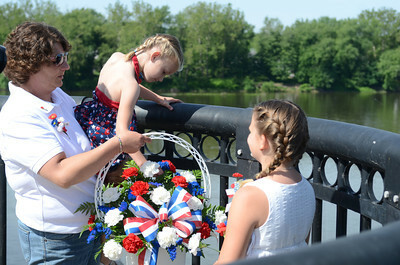 Marleigh Davis, 6, second from left, Danville, gets a helping boost from Mary Mensch, Danville, while throwing flowers into the Susquehanna River with Reilly Mensch, 10, on Monday morning for a ceremony before the start of Danville's Memorial Day Parade. 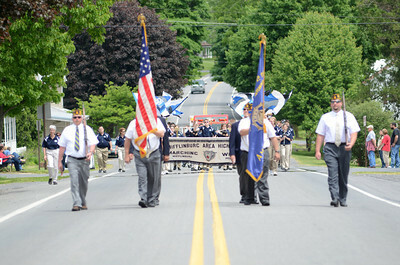 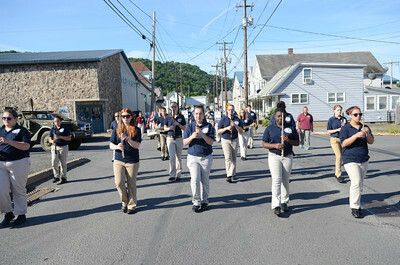 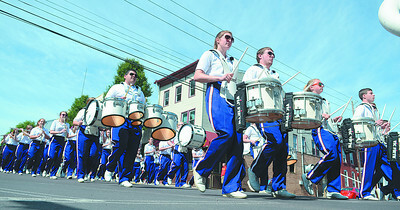 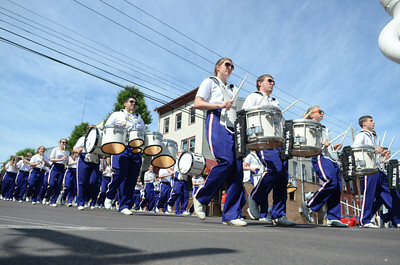 The Danville Marching Band makes its way down Mill Street on Monday while performing in the Memorial Day Parade. 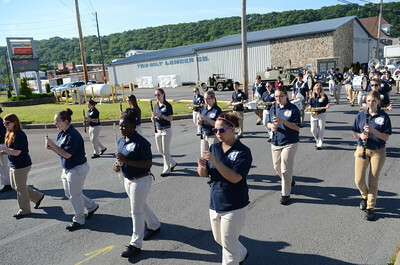 Members of the Danville High School marching band color guard twirl their Statue of Liberty flags during Danville's Memorial Day Parade on Monday. 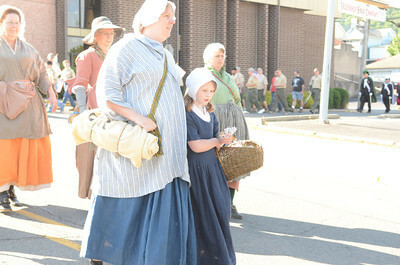 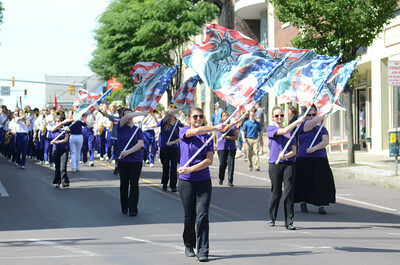 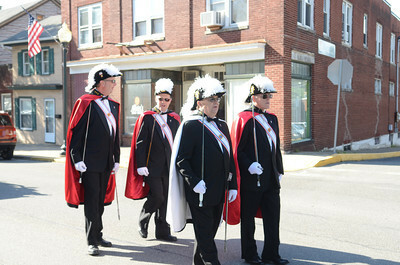 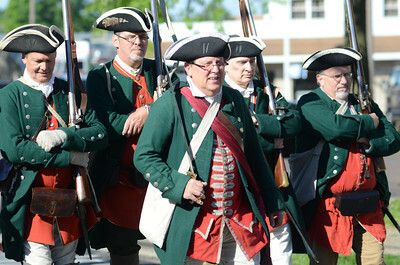 The Memorial Day Parade makes it way along Market Street in New Berlin on Monday afternoon. 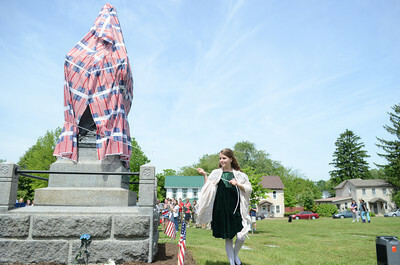 Natalie Imhoof, 10, Selinsgrove, takes off the cover over the statue of Gov. 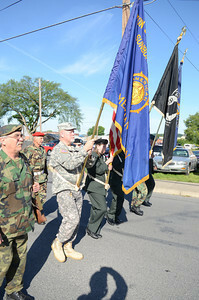 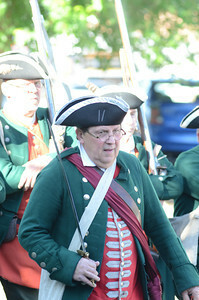 Simon Snyder in Selinsgrove during a re-dedication ceremony for it on Monday. 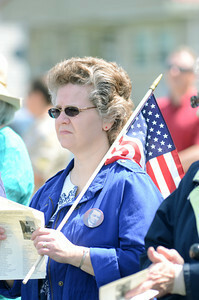 Diohn Fouts, Selinsgrove, listens on during a ceremony on Monday re-dedicating a memorial for Gov. 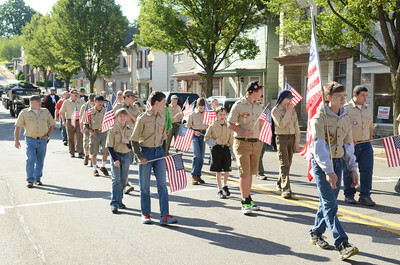 Snyder on Memorial Day.